FAMILY TIES: Gibbons (as Prince) as Moulton (as Babsie) sharing a scene; (below) Gibbons and Harris. 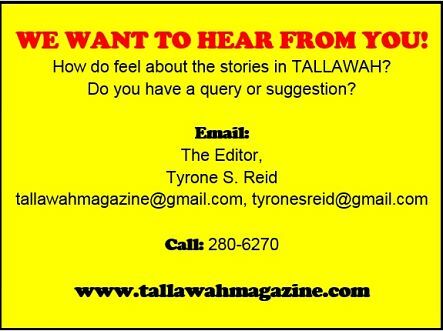 Some writers excel at catering to a certain demographic of the theatre-going public. When it comes to the teen and young-adult demographic, Fabian Barracks seems to have found his niche. 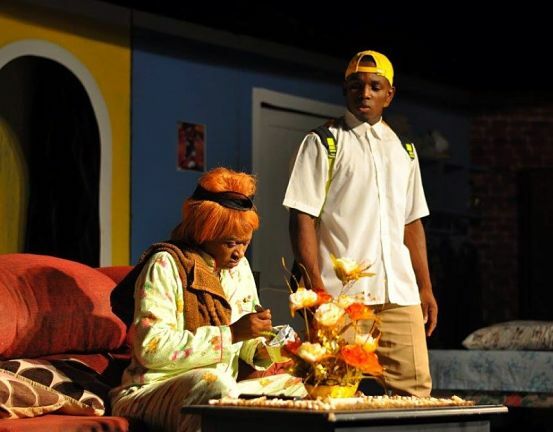 The fast-rising playwright-producer (Bad Apple, Force Ripe) continues to craft thought-provoking and hugely entertaining tales that speak to issues impacting Jamaican family life, particularly among the young and most vulnerable. His latest effort, Barrel Pickney, a wide-eyed and amusing look at a family torn apart by absenteeism and child abuse (mixed with ambition and too-cute young love) will hit close to home for anyone who’s ever had to grapple with single parenthood and a dysfunctional domestic setting. 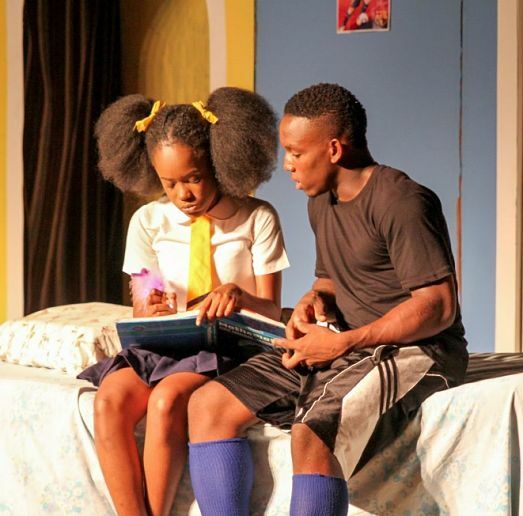 Seventeen-year-old Prince (a terrific Tevin Gibbons) is the emotional centre and, indeed, protagonist of the play, a Manning Cup star for his local high school and a model of youthful energy and athletic prowess for his peers. The bubbly Sheka (Christina Harris, hilarious) is his biggest cheerleader/girlfriend, who seems to spend more time at his house than her own. So she sees firsthand the verbal and physical abuse that the young man suffers at the hands of his cruel guardians – aunt Babsie (Latoya Moulton) and her lover Bulbie (Horace Gordon), whose sole interest is collecting the monthly barrel of American goodies and Western Union cash that Prince’s mother, Mitzie (Jodian Findley) sends. But for Prince, an aspiring Reggae Boy, the material things do nothing to ease the pain of being without his mother (a housekeeper in the States) since he turned seven. His dad is not in the picture at all. So one can understand where his anger is coming from, a rage that boils over into his frequent clashes with Bulbie and Babsie. It’s no place for a child to be raised. And this is one of the harsh, true-to-life realities that the play explores with commendable results. Thankfully for Prince, Sheka (not the book-smart type) assumes the role of the ride-or-die sweetheart, an ever-reliable tower of strength. As such, the Gibbons-Harris chemistry is one of the play’s most delightful assets. I always marvel at how Barracks is able to dip into the local talent pool and select fresh, exciting young actors to introduce to his viewers. While Gordon, Findley, Moulton are not exactly fresh faces, it feels like we’re just being properly introduced to their acting abilities and, for the most part, they give solid accounts of themselves. Gibbons and Harris, meanwhile, bring spark and conviction to their portrayals, while proving that the night is young on their careers. It is abundantly evident that Barracks keeps his ear to the streets and his finger on the pulse of Jamaican life – from the green pastures of uptown to the hard knocks of the ghetto. It’s a trait that has served him well and continues to lend his work a laudable authenticity.